The name "raboso" (rabbioso = rabid, wild) probably refers to the pronounced tart and astringent Taste of the red wines or on the Piave Creek Raboso. 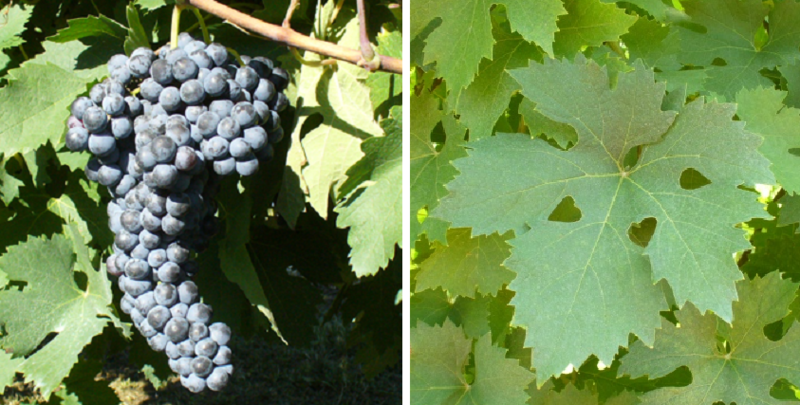 The late-ripening, high-yielding vine is prone to real mildew, It produces ruby-red, rather similar to Raboso Piave, but slightly less tannin-rich red wines. The variety is mainly in the region Veneto grown. It is - mostly together with the variety Raboso Piave - in the DOC / DOCG wines Bagnoli di Sopra. Colli Euganei. Corti Benedettine del Padovano. Merlara. Piave. Piave Malanotte. Riviera del Brenta. Venezia and Vicenza authorized. There are more stocks in the Emilia-Romagna and in Friuli-Venezia Giulia, In 2010, the Italian acreage amounted to 277 hectares with falling tendency. In Argentina there should also be stocks. This page was last modified at 2 July 2018 at 20:50.